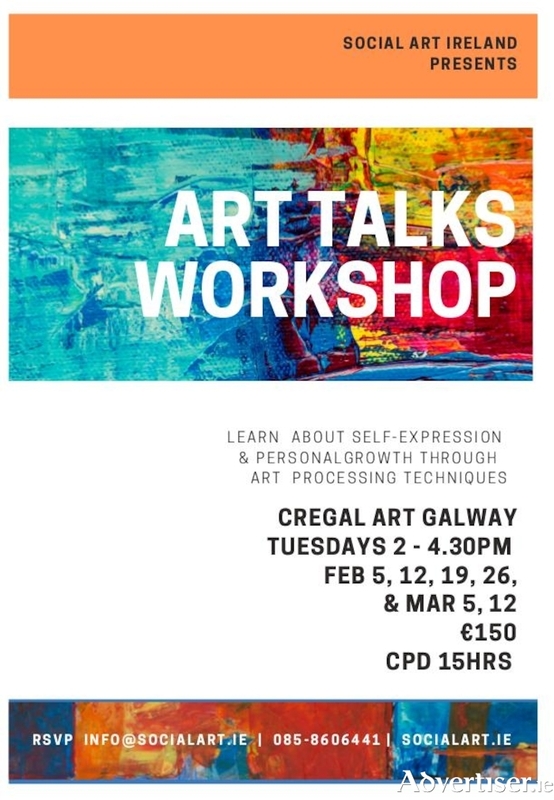 Social Art Ireland is a group of art therapists and psychotherapists who have joined together to promote art making as a gentle yet powerful method for self actualisation. When used as a therapeutic tool, it can release emotions and bring them into awareness. Social Art Ireland is passionate about the role creativity has to play in both its private psychotherapy practice and in its creative workshops for positive mental health. The workshop Art Talks combines the use of art making and journaling as a method for self awareness and personal growth. The team facilitates groups and can travel to those wishing to partake. Social Art Ireland also has a traveling therapeutic art exhibition called Louder than Words educating the public about creativity for mental health and well-being. If you are organising a mental health event contact Social Art Ireland. A creative practice is both life affirming and life changing Did you know that painting and drawing is a form of meditation that can have positive effects on your wellbeing? Most of us are so busy with getting on with life that we have lost touch with how we feel. Starting a creative practice gives you an opportunity to organise our thoughts and feelings. During each session participants will experience different art materials and their applications such as journaling, watercolour, acrylics, intuitive painting, and acrylic pouring, all in combination with therapeutic approaches. Learn how to process what makes you happy or sad or uncomfortable. When combining images and journaling participants can observe themselves, gain insights, and understanding. Reduce stress and anxiety, while learning this enjoyable and informative way to take care of your mental and physical well-being. Art Talks workshops provide a welcoming self-paced group atmosphere. No art experience is needed. Social Art Ireland's workshops are ideal for those looking for an enjoyable way to have fun and relax. Studio time is also available for those wanting space to work on their own projects at their own pace. The open studio is available on Tuesday mornings from 10am to 12.30pm at a cost of €100. For more information contact 085-8606441, email [email protected], or www.socialart.ie.